As they have for the past few years, Nike Sportswear will support another Foamposite release with a similar make-up of the Air Force 1. This pair appears to inherit the look of the upcoming 'Elephant' Air Foamposite Pro. 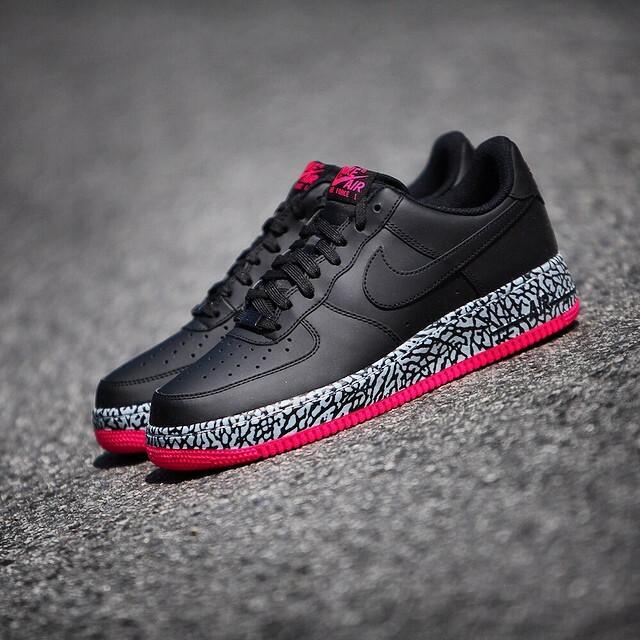 Features include a smooth black leather base, a grey elephant print midsole and bright pink hits on the tongue tag and outsole. A confirmed release date is unknown at the moment, but we'll give you a heads up when we hear something here at Sole Collector.